The reported deal means Stifel could soon top 3,000 total advisors and $200 billion in client assets. 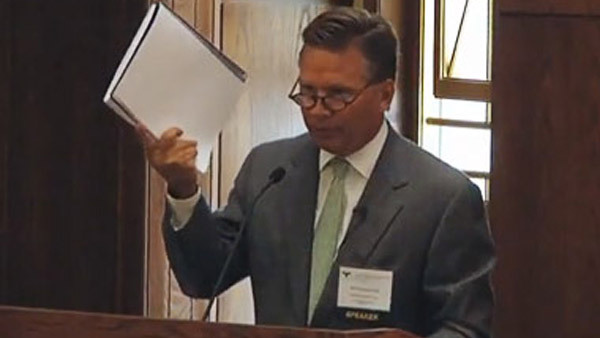 Ronald Kruszewski, chairman and CEO of Stifel. St. Louis-based Stifel Financial (SF) is reportedly in talks to buy Sterne Agee of Birmingham, Alabama. If combined, the firm would have about 3,000 financial advisors and close to $200 billion in client assets. Bloomberg reported the news Friday morning, citing an unnamed person with knowledge of the matter. Stifel and Sterne Agee both declined to comment on the matter Friday. The move by Stifel comes despite a general consensus among independent broker-dealers that deals in the sector could slow down in 2015. Stifel has some 2,100 employee advisors and 150 independent reps in its Century Securities unit; the indie advisors had average yearly fees & commissions of $165,000 in 2013, when the group was recognized by Investment Advisor as a 2013 Broker-Dealer of the Year in its respective category. The broker-dealer and investment firm has been on an acquisition tear in the past decade: Stiflel bought investment bank KBW in 2013, for instance, after purchasing the boutique investment group Thomas Weisel Partners in 2010. The current level of assets under management in its global wealth business is $173 billion. Stifel is set to release its Q4’14 earnings on Monday, after the markets close; its shares were trading down slightly near $51 per share mid-day Friday. Of Stifel’s roughly $2 billion in yearly sales, roughly 56% comes from wealth management. For its part, Sterne Agee includes about 150 employee reps in its Private Client Group and 600 independent advisors in its Financial Services unit. Current assets under management are $173 billion. The firm’s clearing unit works with 90 broker-dealers nationwide. After acquiring Legg Mason’s Capital Markets Division in 2005, the company bought about 55 branches of UBS with 320 advisors and some $15 billion in assets under management. It 2007, it purchased Ryan Beck with 400 financial consultants and $19 billion in assets. Stifel recently closed on its purchase of Legg Mason Investment Council, which brought it about $9.4 billion of AUM. The group provides customized investment advisory, trust and family-offices services. The company estimated (in November) that the ongoing costs of its M&As in 2014 would be $34.1 billion on a pretax basis. It says it is currently the largest provider of U.S. equity research with its coverage of about 1,400 companies, topping the wirehouse firms, and has the second-largest equity trading platform in the U.S., excluding the wirehouses and other “bulge bracket” firms. In the “captive” wealth management business, Stifel says it is the sixth-biggest firm in the United States, after the four wirehouses and Raymond James Financial (RJF), based on the number of employee advisors.